Did you wake up with a crick in your neck? What the heck is a “crick in the neck” anyway? You wake up with limited (and painful!) neck movement, usually on one side. Sometimes it just feels stiff, but other times it feels like bone-on-bone contact. Ouch. Is it a pinched nerve? A slipped disc? While these things are possible (see your doctor if you have recurrent neck pain, or neck pain that includes other symptoms such as fever or shooting pain down the arm), neck cricks are usually due to an unassuming little muscle that runs from the side of your neck to the top of your shoulder blade. It’s called levator scapulae, and it’s responsible for raising your shoulder toward your ear. This muscle gets irritable when it’s expected to hold heavy purses and backpacks, when you tilt your head to one side a lot (ever use your shoulder to hold your phone? ), and when your posture is slouched. When this muscle gets ticked off, it can act like a brick wall that no amount of stretching will fix. What to do? Ice and heat can help. Start with heat (a heating pad or sock full of uncooked rice, heated in the microwave) for 20 minutes, then switch to an ice pack for 10 minutes. Repeat this a couple of times through your day. 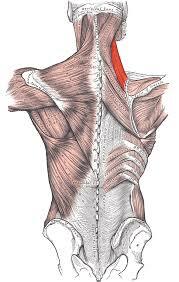 You may be tempted to try to stretch it out yourself, but remember that levator scapulae is angry! Anything other than rest and gentle movement might further aggravate the area, increasing the minor crisis that your pain receptors are telling you about. What else can you do? You guessed it: massage and/or acupuncture. While stretching and pressing on your neck might result in worse pain if you do it yourself, our skilled team at Written on the Body have a few tricks up their sleeves. We can focus on your neck and the surrounding muscles, gently and methodically to help your neck realize it can stop holding so tightly. In some instances adding hot stones or having an infrared sauna session prior to your treatment can facilitate even further healing. If you aren’t sure what approach is right for you, give us a call at 503-473-8515 or email us at wonthebody@gmail.com and we will be happy to help you choose the appropriate treatment path. Follow this up your appointment with us with some more of that ice and heat, and you should be feeling pretty good by the next day. If you get cricks frequently, come see us regularly and we may be able to prevent them entirely! Know someone with neck pain? Share this post and let’s get them feeling better!” Need help yourself? Book online now! Stress is really bad for your health and according to a recent study Acupuncture lowered stress hormones in participants after receiving treatments for 10 consecutive days. The Huffington Post wrote an article on this study if you would like to learn more. This isn’t to say that you have to commit to 10 days in a row, another study shows that you can begin to see results after only a few sessions. In Chinese medicine Acupuncture is used to balance the flow of Qi in the body, in western medicine terms you can think of this like homeostasis. Acupuncturists are helping to stimulate your body’s natural healing abilities, keeping in mind that your body is always seeking its natural state of balance or homeostasis. According to Dr. Daniel Hsu, DAOM (Doctor of Acupuncture and Oriental Medicine): Acupuncturists insert each needle half a millimeter away from a nerve, Dr. Hsu explains. 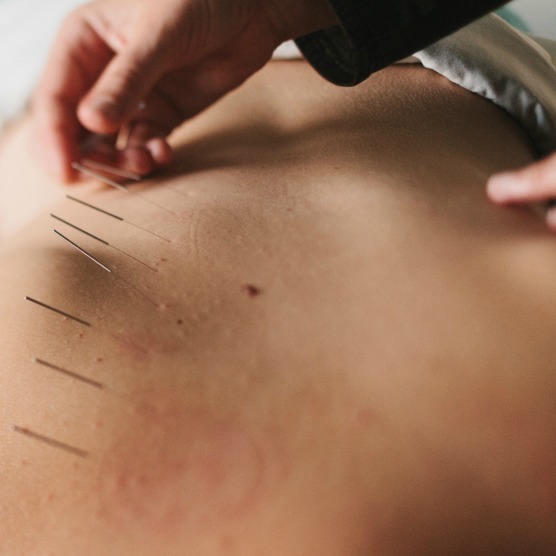 Depending on where the needles go, acupuncture can cause the nervous system to produce painkilling chemicals, jump-start the body’s natural ability to heal itself, or stimulate the part of the brain that controls emotions, including anxiety. All of these results, Hsu adds, can help people feel more balanced and treat a variety of illnesses. -quoted directly from Everydayhealth.com’s article on Acupuncture and Anxiety read more here. What else is Acupuncture good for? It depends on the situation and the person but I can personally say that I have used it for everything from eczema to arm pain to good old fashion stress and it has been a very effective form of treatment! Not to mention that I always feel so relaxed after a session. If you haven’t tried it yet you should:) If a fear of needles is what is preventing you then try out these tips: Take a friend with you, talk to your Acupuncturist-they usually have some tricks up their sleeve to keep things calm and gentle, close your eyes and remember these are pretty tiny needles. Trust me, it will be worth facing your fears! Book your acupuncture appointment online now! Massage and Acupuncture at 2808 NE Martin Luther King Jr. Blvd starting 3/9/15! Our new address is 2808 NE MLK Jr. Blvd. Suite C, near Bridges and the Nike Store, less than a 10 minute car or bike ride, 20 minute bus ride on the #6 or 30 minute stroll from our Alberta street space. You can get massage, acupuncture and sauna sessions from us at our new location beginning March 9th, 2015 and join us for an afternoon of wellness and grand re-opening party on April 12th! Keep an eye out for our newsletter (text INEEDAMASSAGE to 22828 to sign up today) or follow us on Facebook to stay updated on our latest news and events. There is a parking lot behind our building which you are welcome to park in! There is usually 2 hour parking available in front of our building as well as general parking on NE Stanton (our cross street). We have a back and front entrance so wherever you end up it will be easy to get to us. We are sharing this space with another bodywork studio called Thrive and though we will also have signage, if you see Thrive signs you will know you are at the right place. We have reception M-F from 10-2:30pm and the doors should always be open during those times, if it is outside of those hours the doors will be locked between appointments. We typically leave 30 minutes between appointments so you shouldn’t have to wait but if you find yourself locked out try hanging out for a few and we should be right with you. If something seems off please give us a call and/or send us a text at: 971-800-1171 so that we can make sure everyone is on the same page. We will be offering the same attention to quality and care as well as the same great services in our beautiful new space. What’s next? Time to find freedom from stress, chronic pain and injuries with a massage, acupuncture or infrared sauna session! Click here to book now. Have a great week and thank you for reading.